Asia is full of surprises. Two years ago on my first visa run to Laos, I found Vientiane to be a sleepy little city, full of culture and temples, but lacking economic development and the lifestyle that goes with it. It was a pleasant surprise then to stumble upon Naked Espresso, a small cafe serving very high quality coffee – better than most Bangkok cafes at that time! Needless to say it’s my first stop in Vientiane now whenever I go back. Inspired by the Australian coffee scene, young Sydney-educated owner Pop came back to Laos with a passion for coffee and the Aussie style of cafe culture, and a desire to bring this culture to his corner of the world. A few years on, and the mission is going well. 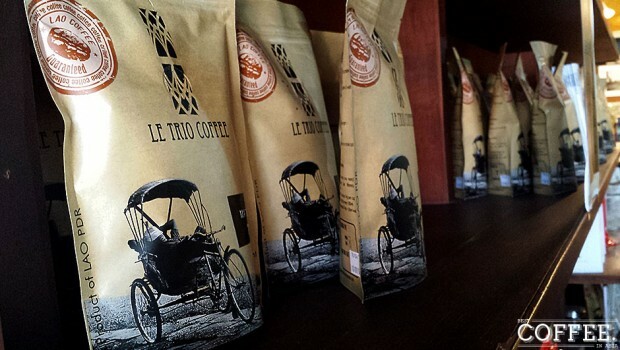 The coffee, grown in the Boloven Plateau, Laos, and Chiang Rai, Thailand, is better than ever, and a delight to drink. Super smooth with well controlled acidity and plenty of body to explore as you sip. I’d go so far as to say it’s the best coffee in Vientiane. I’m not sure if it’s the best coffee in Laos, it’s a big country and I have only just scratched the surface! 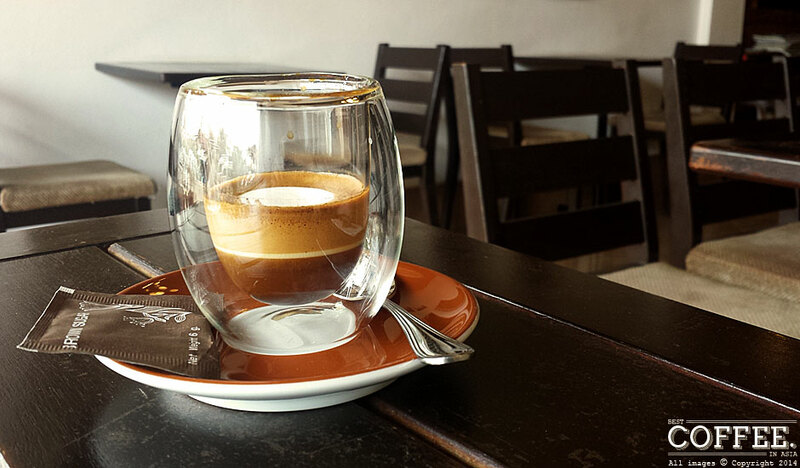 Naked Macchiato is both beautiful to behold, and a treat for the tastebuds. 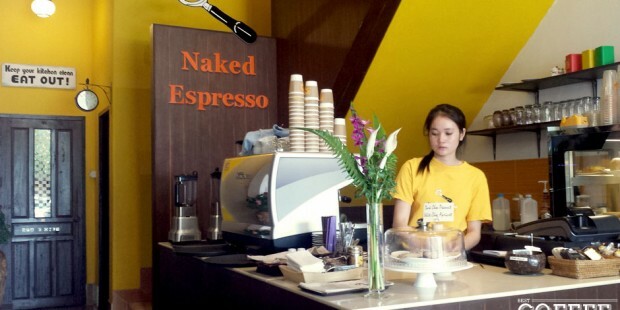 For those Bangkok coffee lovers reading this, the coffee at Naked Espresso is slightly different from what you’re used to at the very third-wave establishments in the Bangkok coffee scene. While the flavours in Bangkok are very bold and acidic, more commonly drunk with milk, Pop’s espressos are much smoother, and I for one like that. You won’t find drip or french press here either, at least for now. The food is well worth sampling too. 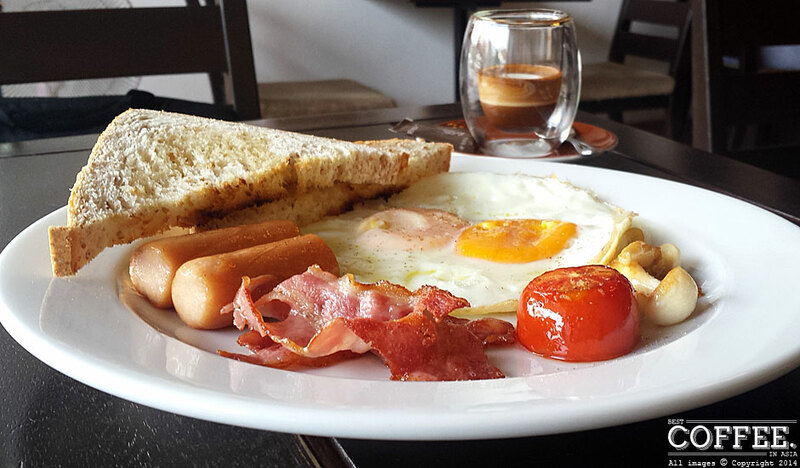 Those homesick expats and travellers will happily dig into the simple western fare like sandwiches and Aussie style brunches, all reasonably priced and done right. There is also a nice selection of cakes and cookies to wash down with your coffee. The music and decor are subtle and down to earth, but there is still enough instagrammable eye-candy to keep you occupied while you wait for your order. 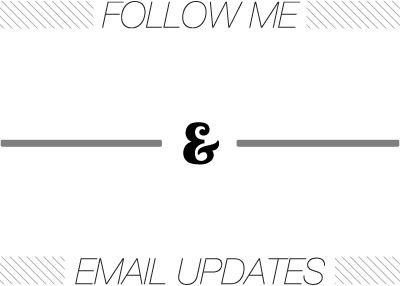 Service is top notch and very friendly with free wifi and bottomless free drinking water. All this makes Naked Espresso Vientiane a perfect place for brunch with kids or a welcome escape from the heat to get some work done.